Common sense will tell developers will go to where the market is. The highest place to sell your game unless it’s crazy complicated is typically the console environment. Thus as a developer you begin to program you game to conform to the standards of that environment. But after the game has been released for a while. Developers will branch out to other platforms to sell their games. 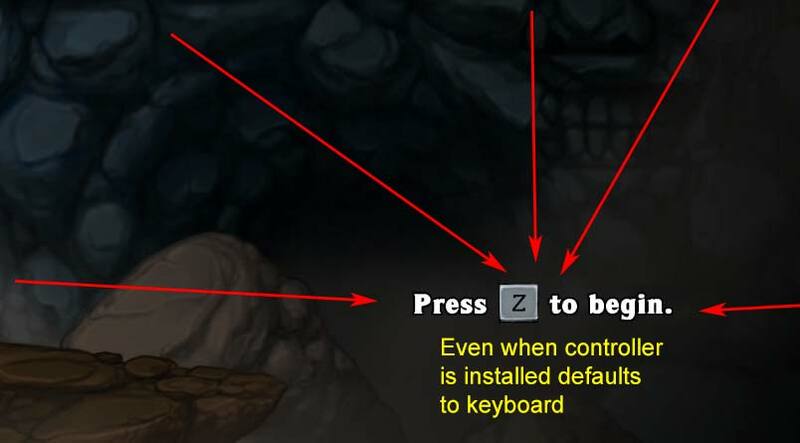 Microsoft in particular made it very easy to port back and forth between Xbox and PC because everything relied on Direct X.
Spelunky HD is just one of many games that assumes you are installing an Xbox 360 Controller and nothing else. That’s exactly what developers started to do. Instead of using archaic and complicated hooks such as the original xinput.dll which is version 1.0. Devs were using versions 1.1 to 1.3 versions which simply ‘assumed’ the mapping of each button to that of a classic Xbox 360 joystick. Depending on the gaming engine used this generated a series of problems. One of the biggest ones being that if you didn’t have an official Microsoft Controller then the game will not even let you continue past it’s start screen. Worse yet some games will completely ignore the fact you have a controller hooked up and only offer keyboard support for your game and that’s it. 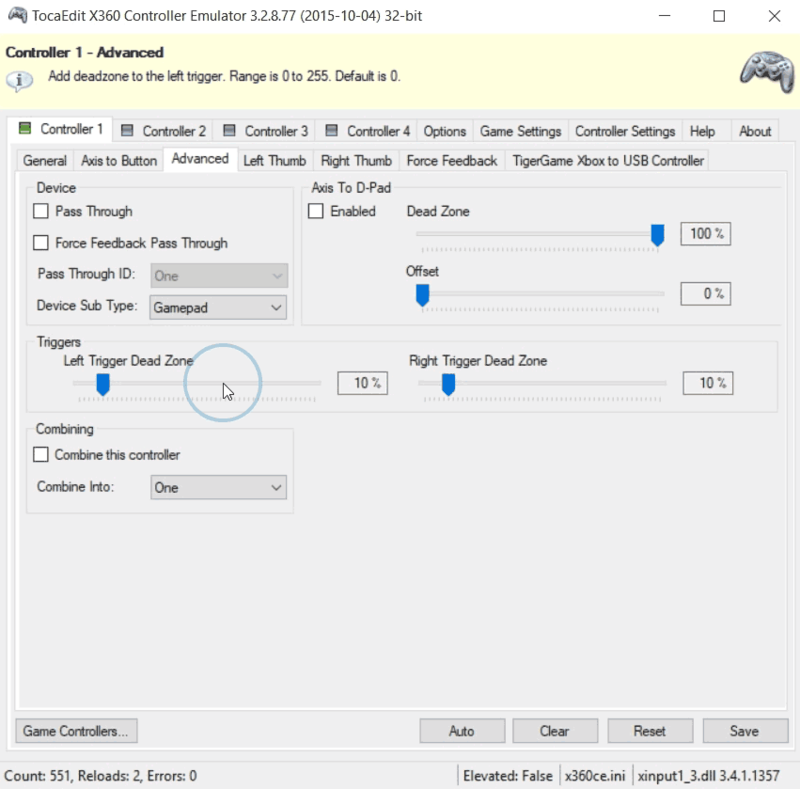 For those which used my tutorial for zero delay controllers, The TigerGame Xbox Blog or XBCD you will likely face this problem with a lot of PC games. The people which used the Chinese receiver blog will not because even though the receiver is third party the controllers most are hooking into it are still OEM Microsoft controller. First, we highly recommend that you download any binaries right from the source creator and not from some third party blog like ours. Our mission is to try to keep everything as secure as possible but not everyone on the internet shares the same values as we do. So click here to go to the developer of the x360ce’s website. The source website gives out the exe files directly with no requirement to extract anything. For those interested in a direct download without ever leaving this blog we have created a link for you as well. Click here to download from our blog. Special notes on direct download archive. It should be noted that both the 32-bit and 64-bit version is compressed with 7-zip as per our blogs conformance. You will need a program such as WinRAR or 7-Zip to extract these files. If you downloaded the files from the source website above you do not have to do this step. If you downloaded from this blog then be sure and extract to the C:\xb360ce\ folder as that will be the folder to which we shall work out of. When you download x360ce it will come in two versions. a 32-bit and 64-bit versions. This does not mean what your OS is as much as what your game is. Older games will be 32-bit where as newer games like GTA5 will be 64-bit. This is why it’s a good idea to get both of them setup in case one of them fail for a newer game. 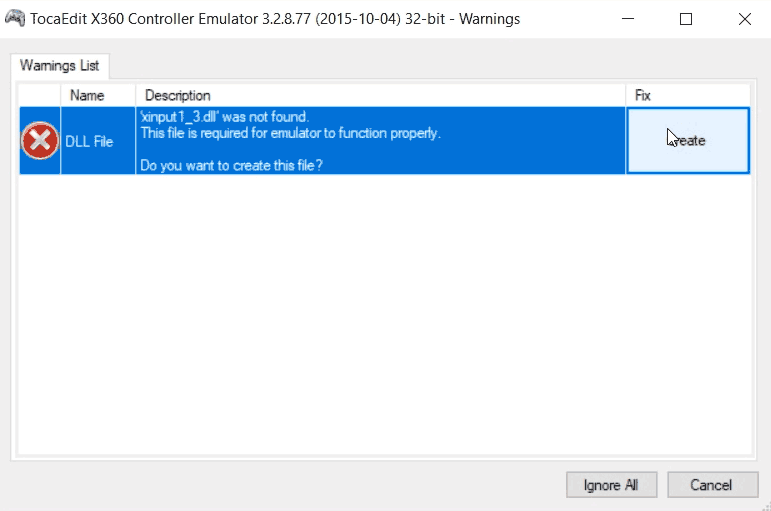 The first thing that it will say is that it cannot find any of the xinput DLL files. This is normal. Let x360ce create DLL files off of your windows folder. It is going to modify them and store it in the directory that you launched the executable out of. The next window will come up asking you what to do with the new hardware detected. 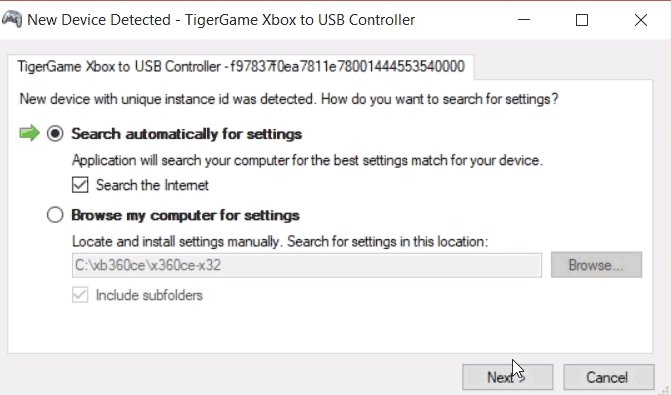 In this case we are using the TigerGame Xbox drivers with an original Xbox Duke Controller. 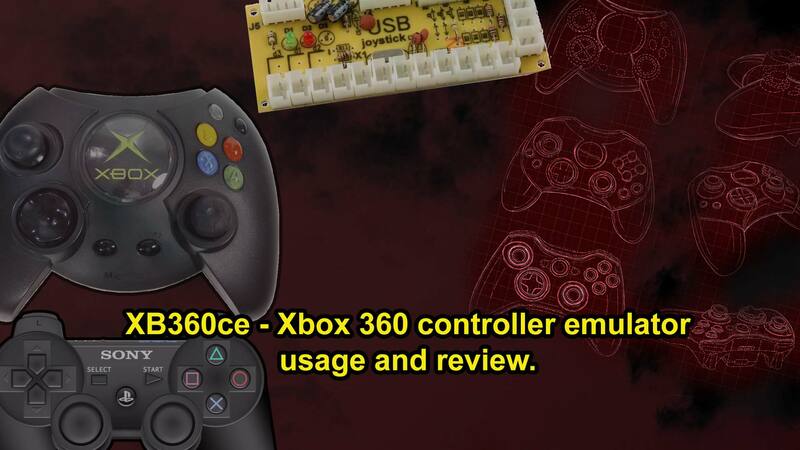 Click next to automatically search the x360ce database for this. It should find this driver definition real quick since it’s still classified as an Original Xbox controller. Once complete your joystick should come alive. 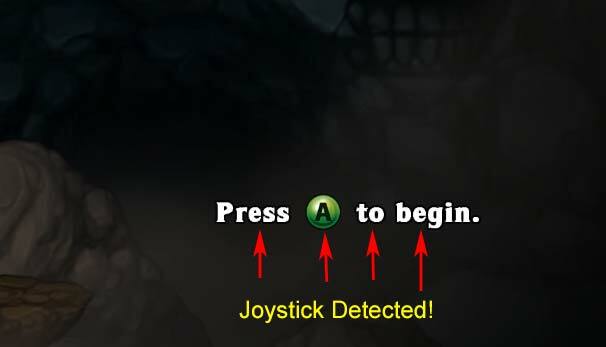 If for some reason this is greyed out there may be a problem with the driver or hardware detection of your original joystick. This screen should be the point where you can pick up your joystick and move it around. See how bad your dead zones are. Verify all of your buttons are working. And see if there’s any problems such as buttons and/or D-pad sticking or failure. You can also map buttons around in case you are using a fighting stick to match an Xbox 360 configuration. Like the XBCD administrative tool you can fine tune the dead spots in tabs such as Advanced so that the shoulder button isn’t being held down all of the time. And you can repeat these steps in Left Thumb and Right Thumb tabs. You can then click on the General tab to test your settings quick. 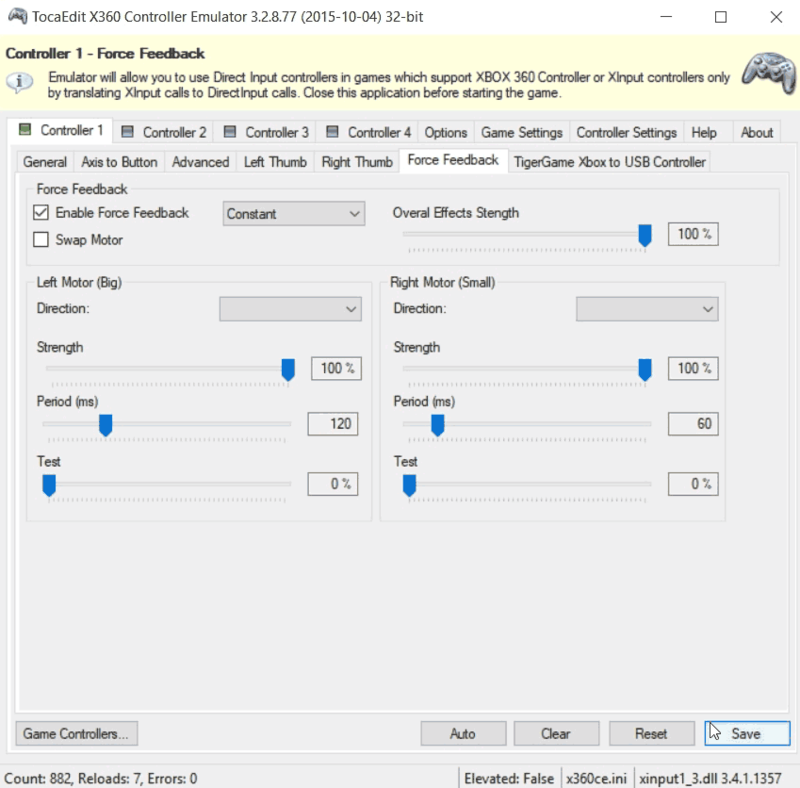 Once you are satisfied with your settings you can then click that Save button and x360ce will write a configuration file for your DLL file that we will be using in a moment. 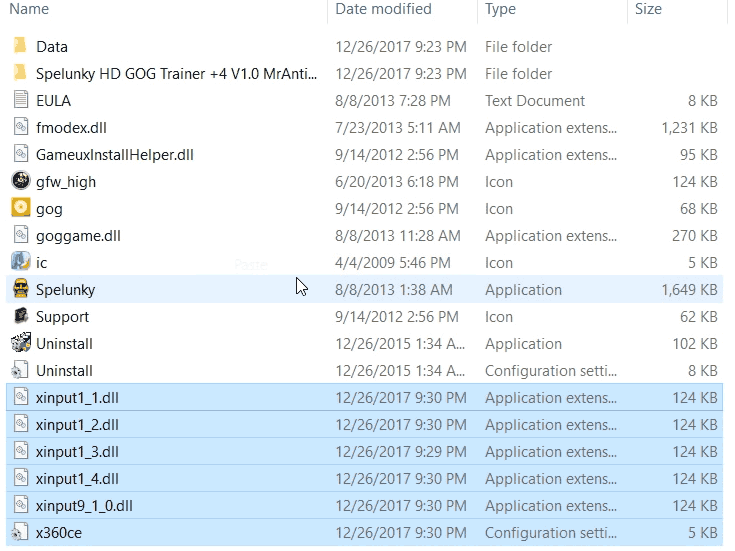 We want to cover all of our bases if a game asks for both older version DLL files as well as newer version. So click on Game Settings and click the box for v9.1 and v1.1 to v1.4 . 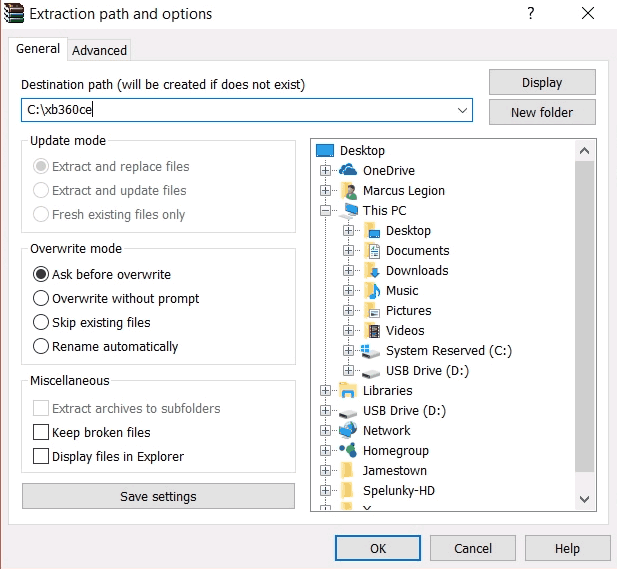 Then click Apply/Synchronize Settings for x360ce to make all of the DLL’s in the folder. Installing the x360ce DLL files into a game. 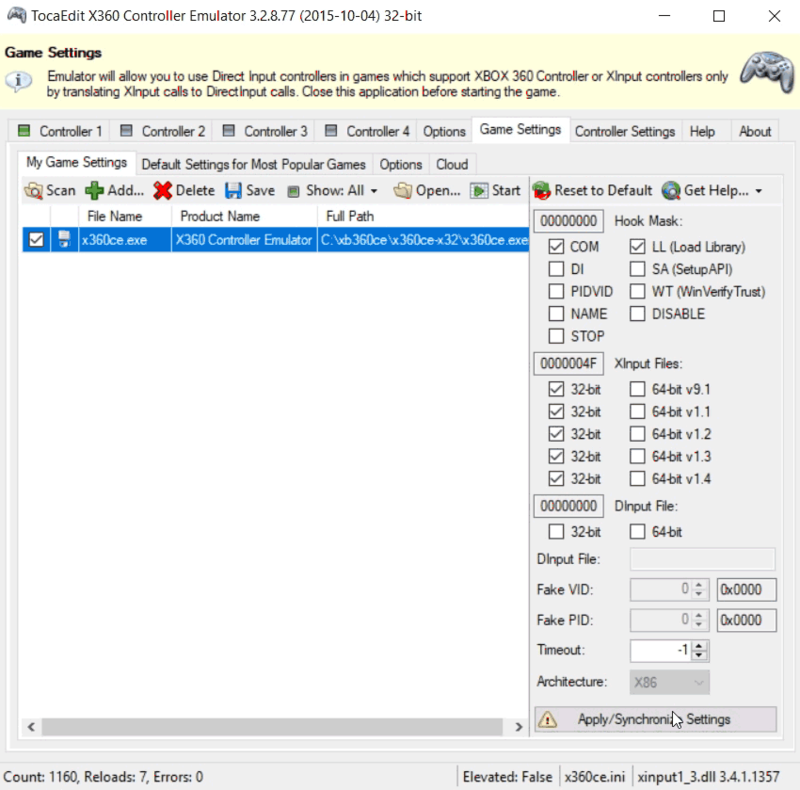 You can close out of your x360ce executable and you shall now see a series of xinput DLL files and the x360ce configuration file. right-click on all of these and copy the files. Finally, we’re going to paste those xinput files into the root of the game that we want this to affect. In this case Spelunky HD. As long as the xinput files are in the same folder the executable is at it should work. Upon running whatever game you are doing you should hear a default windows chime sound indicating that the x360ce driver is detected and running. Related Blogs. x360ce works with the zero delay encoders from china. x360ce works with the XBCD driver for original Xbox’s. MayFlash, the alternative to XBCD works with the x360ce emulator as well. My name is Aly and I would like to know if you would have any interest to have your website here at s-config.com promoted as a resource on our blog alyxxxxxxxxx.com ? No, because you failed to follow the most basic of etiquette of using the contact forum. Instead you post an off-topic question in one of my articles. Your comment has been edited to deny you any positive back-links to your site as well. Your request is denied. Good day sir. I have been trying all this instructions but still yet my own is not working or is it that I don’t do it the way I’m supposed to what more can I do.? 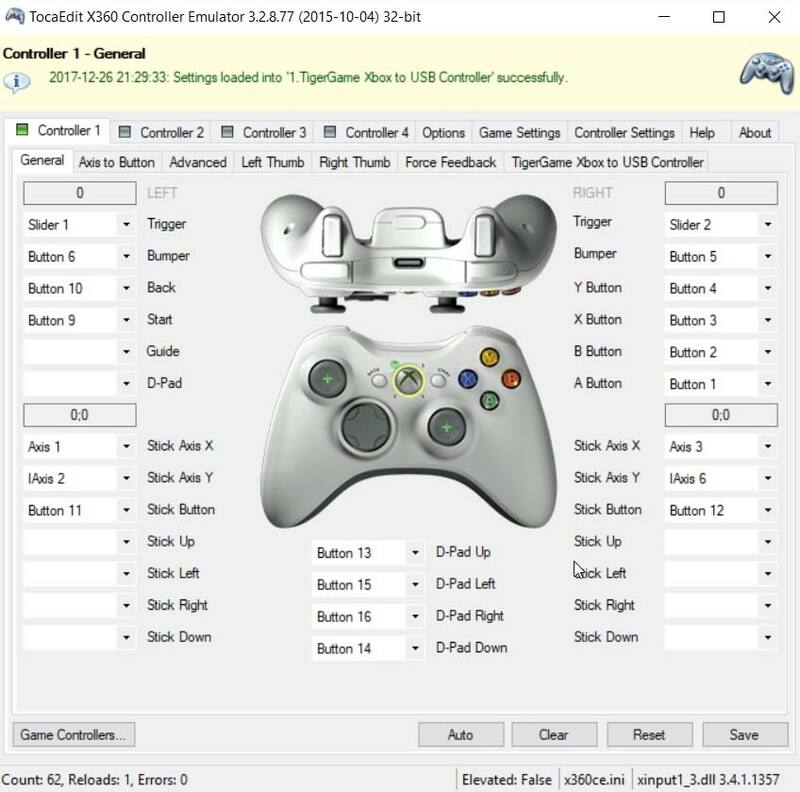 After configuring the pad when I pasted it to the game location if I want to open the pad and confirm if it real working correctly then the pad setup menu will just be beeping it will not even show up why? P.S. Removing your link for Fortnite because no one cares. When this limit is achieved, the player should immediately cash-out preventing playing.